As we reported in our daily press summary, European Commission President José Manuel Barroso has drawn criticism from the French government after he described France’s insistence to exclude the audio-visual industry from EU-US trade talks as “completely reactionary”. Now, the French press has caught up as well. For once, the Europeans were united vis-à-vis the Americans […] The President of the European Commission, José Manuel Barroso, has torpedoed this unity by stating, right before the start of the [G8] summit, that France’s position on the cultural exception was “reactionary”. It is of little importance to know whether France is [reactionary]. Or whether or not one needed to exclude, in the name of the cultural exception, audio-visual services from the negotiating mandate handed to the European Commission. In order to be ready, the 27 [EU member states] negotiated at length and until late at night on Friday, 14 June. France ended up imposing its views and scored a political victory. And whether Mr Barroso was satisfied with this outcome or not is of little importance, too. He’s the President of the Commission and is bound by the mandate he’s been given by the [member] states. By denigrating the agreement the day after it was concluded, Mr Barroso is not acting as the guardian of the [EU] Treaties, as his mandate requires. The Trade Commissioner, Belgium’s Karel De Gucht, has adopted a comparable attitude. He didn’t manage to impose his views. A bad gambler, he pretends that it will be possible to re-introduce audio-visual services in the negotiation. That’s empty talk: everything is possible under unanimity. In reality, France retains its veto on the issue. But Mr De Gucht has an excuse: he will negotiate with the Americans and is afraid that the latter retaliate by excluding from the negotiations some domains that are strategic for the Europeans. He wants to be able to go back to the 27 [EU member states] to amend his negotiating mandate, if necessary. Mr Barroso, on the other hand, seems to pursue far more personal ambitions. During eight years, the President of the [European] Commission has stood out for his ductility. Defender of small states as Portuguese Prime Minister, a liberal at the time of his appointment in Brussels ahead of the 2008 crisis, pro-Sarkozy during [former French President] Nicolas Sarkozy’s presidency, and incapable, since, of taking the smallest political initiative to revive the Union, he has accompanied the decline of the European institutions. 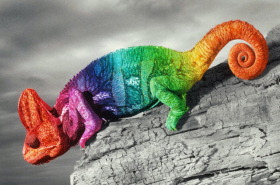 Today, aged 57, this chameleon is searching for a future. In search of a good post, at NATO or the UN – who knows? – he has chosen to pander to his Anglo-Saxon partners, the British Prime Minister and the US President. At the head of the Commission, Barroso has been a good reflection of Europe: a decade of decline. This is “Up yours Delors” territory – and arguably the strongest attack on Barroso until date.